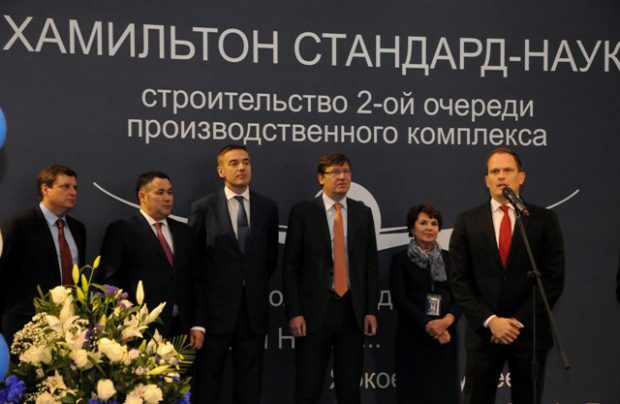 Hamilton Standard-Nauka (HS-Nauka), a joint venture between UTC Aerospace Systems and Russia’s NPO Nauka producing heat exchangers for civil aircraft’s air conditioning systems, has launched a second manufacturing line at its site in Kimry, Tver Region. The company will use the new capacities to boost production and expand the product line, particularly through the assembly of heat exchangers for future Boeing 777X widebodies. The production growth will allow for a 25% increase in sales in 2018, CEO Roman Chichelov says. The second line is expected to reach its design capacity in 2019, bringing company’s total labor hours up 50% to 450,000. 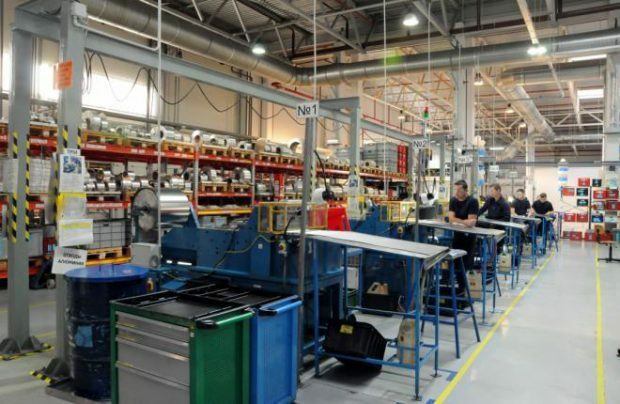 A total of 300 million rubles ($5.2 million) has bee invested in the second production line so far, with 800 million rubles to come in future, Chichelov adds. The investment project might soon become subject to a special investment contract (SIC), which is currently awaiting the approval of the Russian Ministry of Industry and Trade. Viktor Evtukhov, a deputy minister, announced at the facility inauguration ceremony that the SIC might be signed shortly. HS-Nauka’s products are installed on Boeing 767, 777 and 787 airliners, as well as on Airbus А380s, Bombardier Q400s, CRJ200s, Embraer 135/145/170/190s, Xian MA600s, MA700s, Cessna Citation business jets, Mitsubishi Regional Jets; Tupolev Tu-204/214s; Ilyushin Il-96-300s, Il-114s, Kamov Ка-62s, Mil Mi-38s, etc. Only 10% of HS-Nauka’s suppliers are Russian-based. This is because the company has very stringent quality standards and places relatively small orders. This might change soon, however. One of the manufacturer’s supply chain localization projects is with aluminum giant RUSAL. HS-Nauka was established in Moscow in 1994. In order to meet the growing market demand, the company launched another production site, in Kimry, in October 2011. About 90% of the enterprise’s output is exported.